Sterling silver handcrafted .925, 10 round wire with a loop and hook bracelet with stone. Stone is 10 x 8 mm in size. 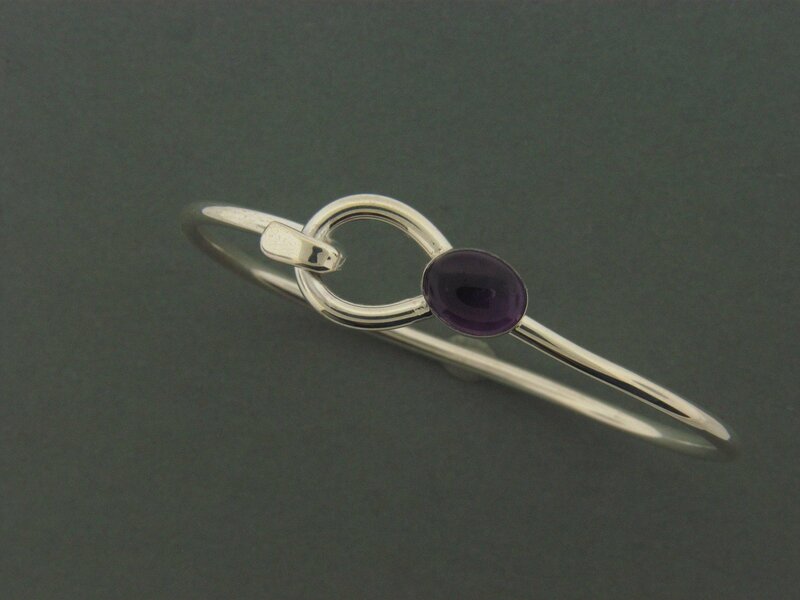 Shown with an amethyst stone.